Agile innovation has undergone a rapid and huge change than any other business area and revolutionized the software industry over the past 17 years. Now it is ready to transform nearly every other functional areas in every industry. But, do you know the most challenging part of executing an agile project? It’s the mindset of a team that should be aligned with agile values and principles. It’s true that many of us have an agile methodology overview and nowadays agile practices are in commonplace for developing software. But agile values and principles are yet to be adopted as a part of team culture. So, whether a project is following Scrum, Kanban or some other iterative and incremental agile development methodologies for software development, the greatest impediment is to understand the core values of agile principles. Hence, only knowing few terms of agile will keep you or your team mum when required to provide valuable feedbacks. 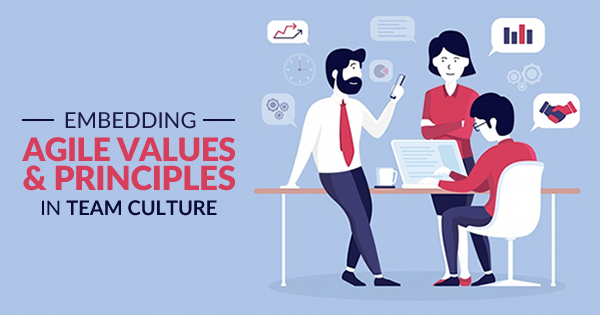 Therefore, understanding and embedding agile values and principles in team culture is the first stepping stone to run a successful agile project. But how to establish that? Let’s understand it through some inputs provided in this blog. What are the Agile Values and Principles? Before we discuss on the know-how of the agile principles, let’s have a quick go through on what the agile principles and values are commonly practiced in the industry. You can refer to our previous blog on Factors to choose the right Agile Development Method to get more idea how these values and principles are related to agile development. How Agile Values and Principles should be Implemented in a Team? The four agile manifesto principles are the pillars of running a successful agile project. However, instilling an agile mindset in the team as part of agile project management principles is not an easy task. Here are the few areas which must be taken care to set the agile principles and values in a team. This is the very first step in an agile project that will direct how you are going to establish the agile values and principles in your team members. Whether you select XP, Kanban or Scrum, agile development is executed in an iterative way. That means the entire task needs to be broken into small modules. You need to decide how much work the team will take on and how to accomplish it by developing a clear definition of “done”. Then start creating the working versions of the product which are known as sprints. Moreover, the timeline for each iteration could be 1-30 days maximum (depends on the project). Hence, how you are going to do the estimation, the timeline will depend on that. Furthermore, the timeline must cover each user story. So, this should establish the agile execution as a time-bound activity and agility as the key for an agile project. Another critical point that should be kept in mind while planning for the project is that though it is a contract, it is going to be more about collaboration than contract. This points towards one of the agile manifesto values that is Customer collaboration over contract negotiation. Processes, tools, and human workforce – these are the three important factors of a company that helps to achieve its goal. Processes are controlled way to perform tasks and used purposefully when it is required. On the other hand, tools are just to speed up the processes and make processes more manageable. However, the most important among the three are human workforce or individuals which are the key strength for a company. Thus, keeping a team motivated helps to scale the culture of the company. So, to keep things transparent and easy as part of team culture, individual conversations should be prioritized. Building a relationship with team members must be the first thing that would come under agile project management principles. This not only helps to understand the work but also makes the company culture and expedite to adopt the agile principles and values in a team. The first among the four agile manifesto principles, i.e. Individuals and interactions over processes and tools must be implemented here. Open communication is a crucial parameter that must be engraved in the team. And also the significance of external dependency should be discussed upfront to avoid any delay in release. This ultimately works in line with another agile manifesto values i.e. Responding to change over following a plan. Another vital issue that an agile project may face if agile values and principles not appropriately set in the team is UAT issue. It’s very common for big enterprise projects that it runs from different global locations which are in significantly different time zones. Hence, users may not always be available and last minute calls or technical issues can raise questions on project management. So, the team must adhere to timeline and stress on proper communication. This needs appropriate collaboration between the team and the users. Large agile projects often consist of multiple scrum teams who may work parallel and interdependently. In such a scenario, again communication matters a lot between the teams to overcome any source stopper. Thus organizing daily scrum calls or even scrum of scrum calls are important to identify the real project status and also to keep the team members on their toes. This also helps in agile retrospective. Agile sprint can have any types of deliverable or output as long as it is measurable by a business outcome. Or it is utilized in some way by a process or user or other sprints. The deliverable could be a document, an excel sheet, a technical mapping, a checklist etc. So, readiness regarding the deliverable should be established as part of team culture. 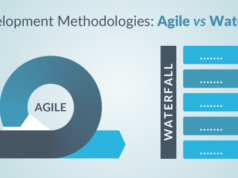 Agile methodology overview focuses on iterative solutions for the complex problem. It is a fact that the individual agile team may not be responsible for all the priorities of the project. However, as the complex problem as a whole is a part of the enterprise solution, the team should consider as the top priority and execute tasks allotted for the particular sprint with care. Otherwise, an agile project will struggle in implementation. An agile project may have a cross-functional team which can have multiple leaders. However, agile project management principles should be crystal clear among the leaders and the teams. The responsibilities for team member selection or replacement, approving team’s decision etc. should be defined precisely among the leaders. Second, guessing among the leaders related to any design or issue must be avoided. This will not only encourage them towards innovative thinking but also engage them in team activities. Preparing to become an Agile Certified Practitioner? 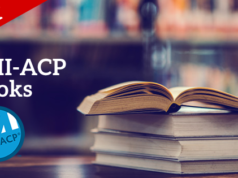 Read these Free PMI-ACP Exam Questions now. To establish agile values and principles in team culture you must be an excellent agile leader. To acquire that proven leadership skill Agile certification gives you an edge over other in the marketplace. To have skilled members in the team, the hiring managers prefer to hire certified agile professionals. 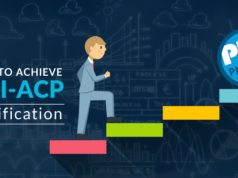 If you are looking to work in an agile team, getting certified with PMI-ACP will open the doors to success for you. Start your preparation with the Whizlabs PMI-ACP training course and check your preparation level with the PMI-ACP practice tests, and be ready to get a certification. Become an Agile Certified Practitioner and contribute to the agile team!